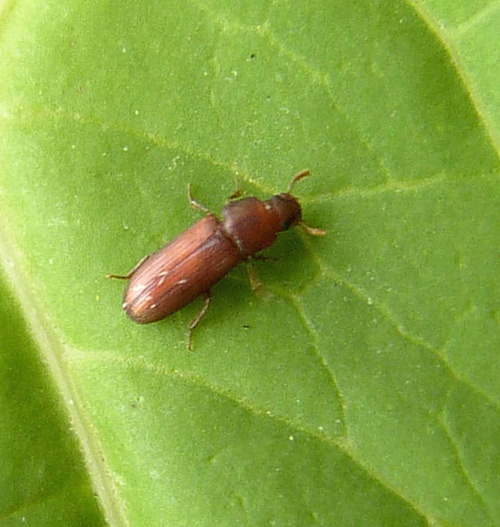 The adult Rust-red Flour Beetle is 3 or 4 mm long with a flattish curved-sided body which is reddish-brown in colour. The head and upper part of the thorax are covered with minute punctures and the elytra are ridged along their length. The antennae are enlarged at the tip (capitate) with the last three segments wider than preceding segments. The eyes are reddish-black in colour. 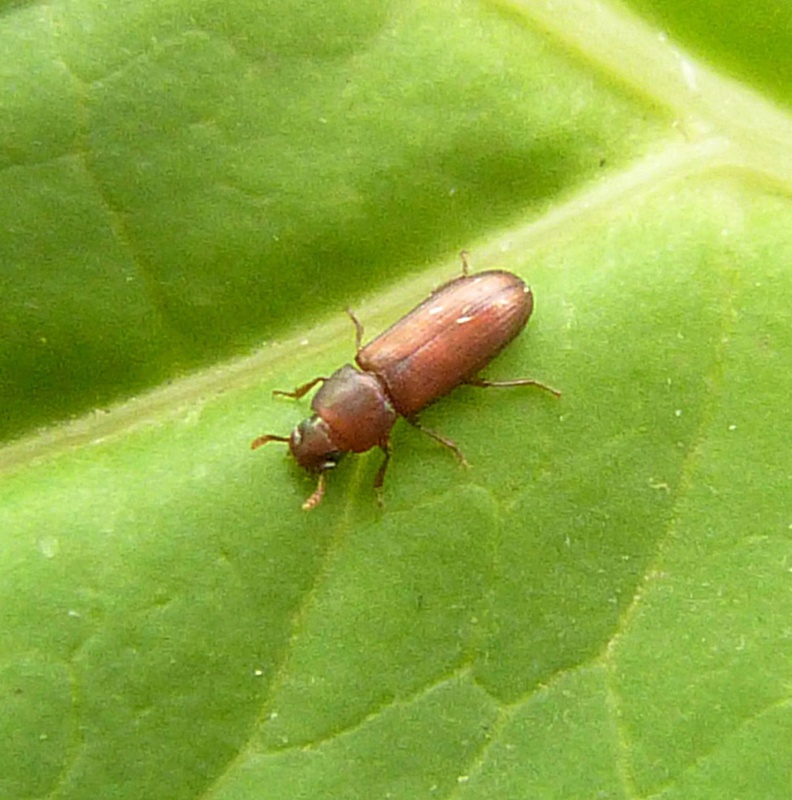 This is a stored product pest that usually survives over winter only in permanently warm conditions. It has a very broad host range attacking a wide range of dried stored products, cereals, lentils, seeds and nuts. May be encountered indoors in warm conditions at any time of the year. Although a potential pest there are not a lot of British records. Infrequent or under recorded in Leicestershire and Rutland. There were only 5 VC55 records for this species up to March 2015, and only two of those records occurred after 1900.